Who said you can't find real sushi in Shibuya? I mean really. People might think Shibuya only offers reasonable kaitenzushi (Conveyor-belt Sushi) for young kids, but there ARE great sushi spots to fulfill grown-up foodies' stomach. But which price range? First, let me tell you how I personally categorize sushi restaurants in 4 different price ranges. Although omakase are offered at restaurants in all ranges, in this blog I will introduce you mind blowing Omakase courses at price range 3. If you are looking for anywhere in Tokyo, check this blog also - Top 5 Omakase Sushi Restaurants in Tokyo UNDER $100 . 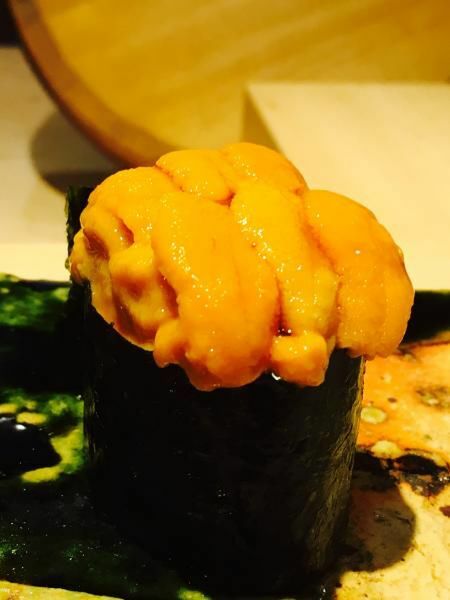 The owner chef, Kurosaki has 17 years of experience in well-known sushi salon in Asakusa and Setagaya, and finally opened his own restaurant in Shibuya in Feb. 2015. Even it's a young restaurant, local food lovers are already in love. It seems like it's always full with regulars. The chef's passion to entertain customers are seen everywhere from its stylish interior to every little dish you will be eaten off. When you sit at the table, you get a warm greeting from the chef, and he will ask your food preference. 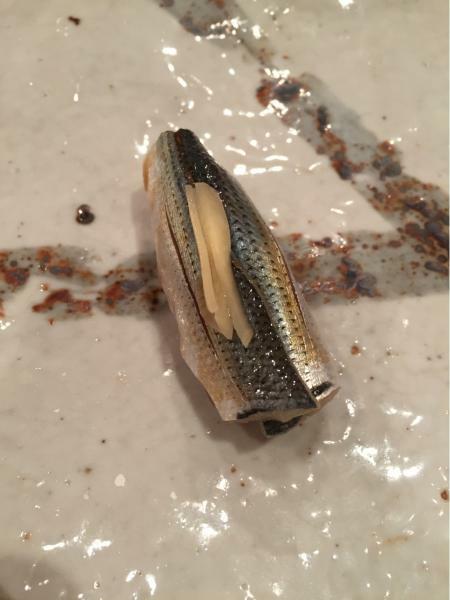 Dreaming OMAKASE course will begin after chef explains that Tsumami (small dish that goes well with alcohol drinks) and Nigiri (sushi) will be presented after another. Every piece has unique Kurosaki twist to it and just so delicate. The course only gets better and better. And the best part is.. it has quite a volume! Also, this place offers great variety of Sake from different areas that goes well with seafood. As regulars says, the don't go to Kurosaki only for Sushi but also to enjoy harmony of sake and tsumami. Owner chef of Akizuki is a master of Chef Sato from that famous Ginza Tokami. He spent 10 years at Ginza kyubey and now his own restaurant provides, of course the best of best Sushi, but also seasonal sensation. I mean they even change plates depending on season and weather along with seasonal fish. God. It's so Japan - almost too sensitive! The sushi style is quite similar to Kyubey - small rice to maximize the flavor of sea gems. There are 3 courses - ¥12,000/¥15,000/¥18,000. It's so customer friendly! Even locals are afraid of not being told how much before hand in these places. They only open for dinner and it is a very popular place so don't forget to call before you go. Place is known for it's unique style... It's almost too unique. Sushi created byTaisho (owner chef) of Yajima is not the same as any other. Rice starts to break apart right after Sushi is placed on your plate. If you take one instagram photo, it might just fall apart before you eat. No joke. Just remember to eat fast, or you will have a traffic-sushi-jam situation. Taisho adjust the softness of rice depending on the fish or the way customer eats - He's a pro.You will understand his style and strong belief how to eat from his pet line. Don't you want to go to the restaurant and see him in person now? For budget travelers, try their lunch course around 3,000. It's always full so I strongly recommend you to make a reservation. I personally recommend any of these restaurants. Omakase for a dinner might cost you a fortune, but none of above will make you regret.